The reboot continues! The countdown to the next really big adventure is officially on. After catching the thru-hiking bug a few years ago, I am now about to set off on my fourth* and longest thru-hike yet. 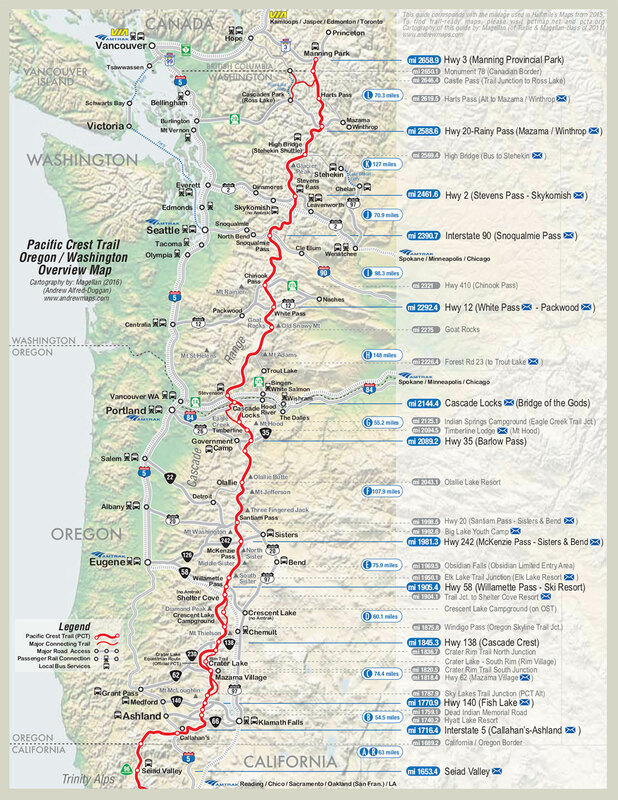 For the better part on 2018 I plan to be back on trail thru-hiking the famous Pacific Crest Trail in USA. I am so excited! The main difference this time is that I won’t be hiking solo. Scott and I plan to hike the trail northbound or “nobo” in trail lingo. We will also start our hike earlier than what is traditionally considered the primary thru-hiking window. Most choose to go nobo, and most want to start in mid-April through early May. This to minimize encounter with snow in the Sierras with enough time to still make it through to Canada before the first snow up north. Sobos start much later, in June or July, after the spring melt in the Cascades. We picked this early start date by choice. Both of us are more concerned about the Southern California desert heat than with snow. We are well aware that heading into the High Sierra mountains in mid-April can easily turn our hike into a serious mountaineering adventure. So we will, of course, keep a close eye on the weather and properly risk assess the conditions before we head up into that section. I don’t have a lot of experience on snow without skis, but Scott is a seasoned mountaineer and I am looking forward to learning a lot from him on this stretch. 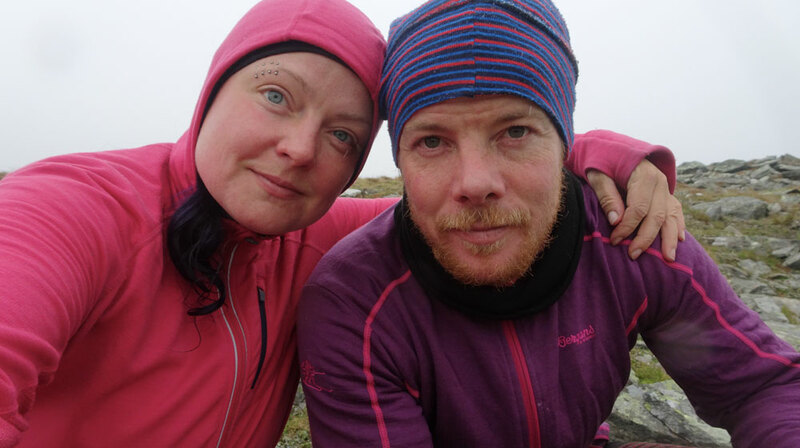 *Previous thru-hikes: Kungsleden (Sweden) 2016, Te Araroa (New Zealand) 2016-17, The Skye Trail (Scotland) 2017. 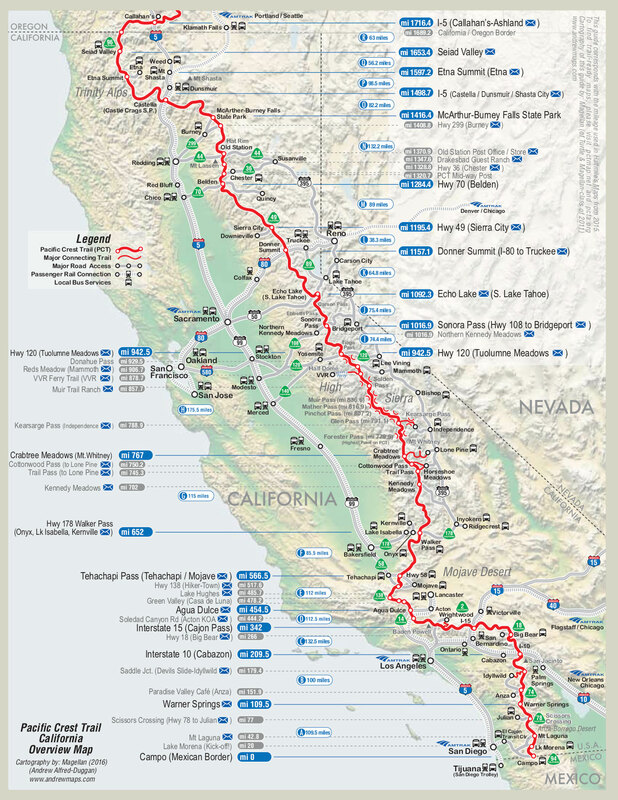 The Pacific Crest Trail, or PCT as it is more commonly referred to, stretches about 4265 km (2650 miles) from the Mexican border to the Canadian border in the western United States with a total elevation gain of 95 923 meters. It takes most hikers about 5 months to do the whole trail end-to-end and this is what we are planning for as well. 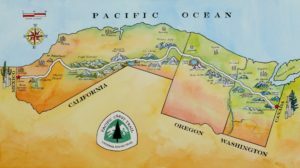 The PCT goes through California, Oregon, and Washington from the desert in the south to the mighty mountain ranges of the Sierra Nevada and the Cascades further north. Despite the popularity the trail has enjoyed/endured recently, only about one in five who attempt a thru-hike actually make it all the way.  To increase our chances of success we have spent the past few months planning and preparing. Not only is there a lot of logistics since we are coming from abroad with travel and visas etc. 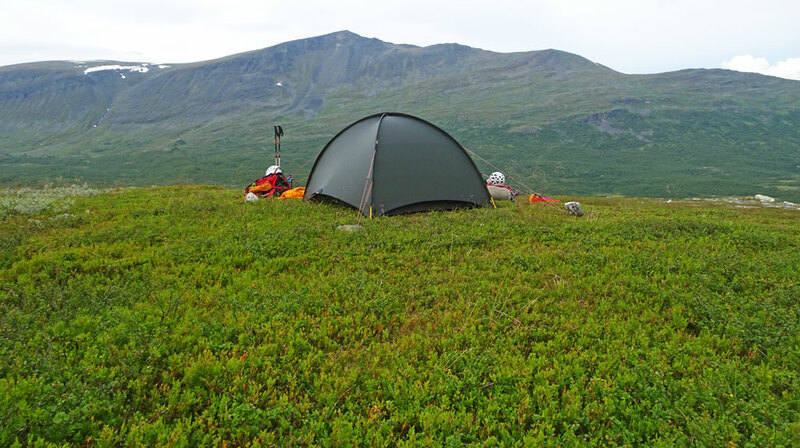 We also needed to apply for local permits such as a long distance permit for the trail itself and fire permits so we can use our gas cooker in California. Granted, this is a very well-established trail compared to my previous thru-hikes, so any unplanned events can most likely the solved without too much trouble along the way. We are on a tight budget, however, so a bit more careful planning will make every dollar count. One main player in a hike of this magnitude is seasonal variations and every year is a little (or a lot) different. 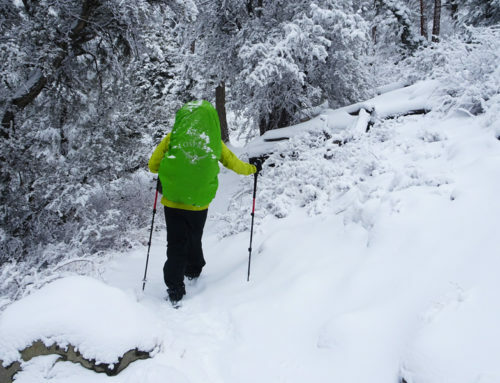 Last year the PCT enjoyed a record-breaking snow year. So far, this year looks to be a La Niña winter, meaning very little precipitation in the south but a lot more of it up north. It is only February, so things can still change, but if it keeps going as it has, 2018 will present a super dry California desert, a lot less snow than normal in the Sierra Nevada mountains and heaps of snow up in the northern Cascades. Although at this point the far north is not looking too bad. In other words, a pretty good year for an early start – if you go north. 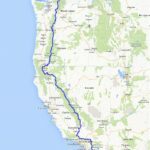 For nobo thru-hikers on the PCT 2018, this means a lot less water in the desert. So much longer water carries, and water is very heavy! For some stretches, we plan to carry up to 6 or 7 liters of water each! On the flip-side, it also means less snow (or meltwater depending on when you go) in the High Sierra, which in theory should make that section a bit easier to manage, especially for us early starters. In a big or even normal snow year, hiking through the High Sierra before May 1 would be considered a winter mountaineering mission. We expect to get there mid-April, so we come prepared. This year that might not be so dramatic given the current snowpack, but that all depends on the weather at the time. 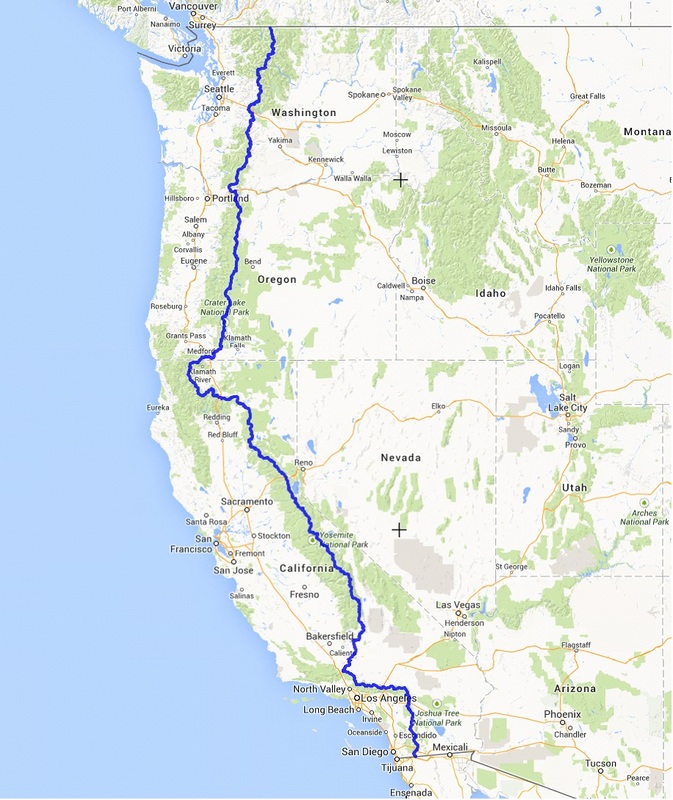 By the time we get to northern Washington the snow should not be of any concern anymore and we are looking forward to walking through Oregon and Washington in the hight of summer. Not chasing a closing weather window and hopefully enjoying a bit more stable weather and wildflowers will be a lovely end to our epic walk. 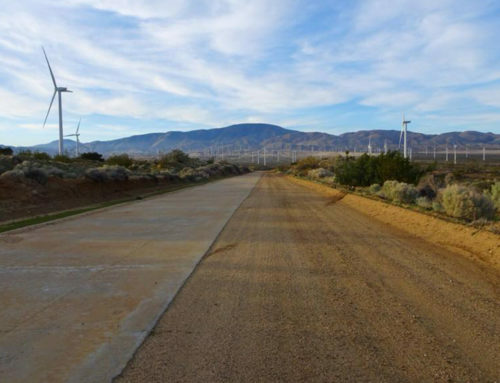 The first 1125 km of the trail will go through the huge Southern California desert. My main concern with the PCT has always been this section. I have no prior experience with deserts and don’t generally do too well when it gets too hot. 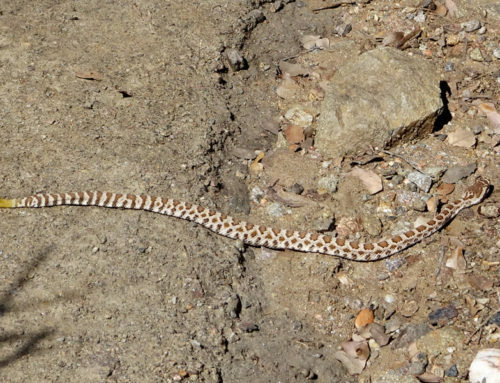 I am not exactly thrilled about rattlesnakes and scorpions either… lol… but I love a challenge so here we go! The PCT mostly passes through what is considered high desert, and it is anything but flat and sandy. 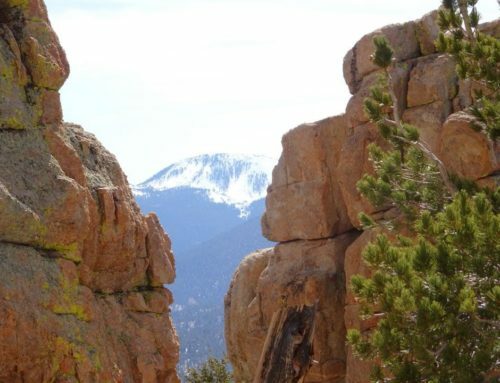 From the Mexican border, the trail climbs through chaparral, scrub oak and pines to the rim of the Laguna Mountains. After a brief drop down into Anza-Borrego Desert, it climbs back up the backbone of the San Jacinto Mountains to the highest point in this section at 2752 m where we expect to still find snow this early in the season. 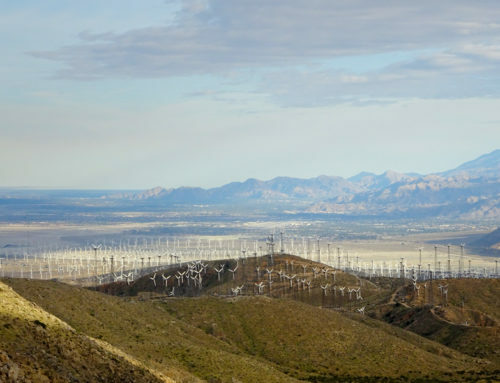 The trail then follows the San Bernardino and San Gabriel mountain ranges before crossing the hot and dry San Andreas Fault Zone and western arm of the Mojave Desert before climbing into the Tehachapi mountains on the approach to the Sierra Nevada. Even this early in the hiking season it will be very hot and dry. You are quite exposed in the desert as shade and water are rare commodities requiring some careful planning and serious hydration management. Temperatures can soar well into the miserable-you-need-a-mid-day-siesta range during the day only to drop to near or below freezing at night. We plan to do most of our hiking early in the mornings or even night hike and take a siesta to escape the worst mid-day heat. After reaching the coveted Kennedy Meadows where most hikers take a well-deserved rest day, or two, the PCT enters the mighty Sierra Nevada mountain range. This is a spectacular and remote section of the trail and the one we are looking forward to the most. The PCT samples both Sequoia and Yosemite National Parks here, and many opt for a detour off trail up Mt Whitney along the way. We will too. This is a non-technical alpine climb up the highest summit in the contiguous United States with an elevation of 4421 m. The PCT actually crosses eight named passes over 3350 meters in this section and we are hoping for good weather so we can enjoy the views! Animals we might be privileged to encounter include marmot, coyote, red-tailed hawks and of course black bears, one of the reasons we will be required to carry bear canisters through here. We are very fortunate to have found a wonderful trail angel willing to lend us his cans for our hike since we won’t have any use for them again after this. We will pick them up at Kennedy Meadows and carry them until Sonora Pass as required by the regulations. The Sierra Nevada transitions to the southern Cascade Range in northern California. Here the volcanic soil and sufficient rain produce greener lands and lush forests in contrast to the sparse alpine region to the south. The trail is pushing ever north with majestic Mount Shasta long dominating the skyline. The PCT connects the inland Cascade Range with the coastal ranges then continues through the Marble Mountain Wilderness down to the Klamath River before climbing up the Siskiyou Mountains and traverses east towards Oregon. Oregon to the Washington border is a pretty short and easy section through a subdued volcanic landscape fairly constant in elevation. Heavy rain in the area produces dense coniferous forests and prominent volcanoes like Three Sisters, Mount Washington, and Mount Hood create focal points along the skyline. The trail also passes through Crater Lake National Park and we will be sure to make a small detour off trail to catch the view of the lake from the rim. The famous Bridge of the Gods on the Columbia River marks the entry into Washington state, a lush landscape filled with lakes and mountains. The Northern Cascades can be a challenging game of climbing up and down several deep canyons and high mountain passes often in the rain as it is the wettest section along the trail. Then… one day… if all goes according to plan, we will finally reach the northern terminus of the PCT at the US-Canada border at Monument 78. Done.